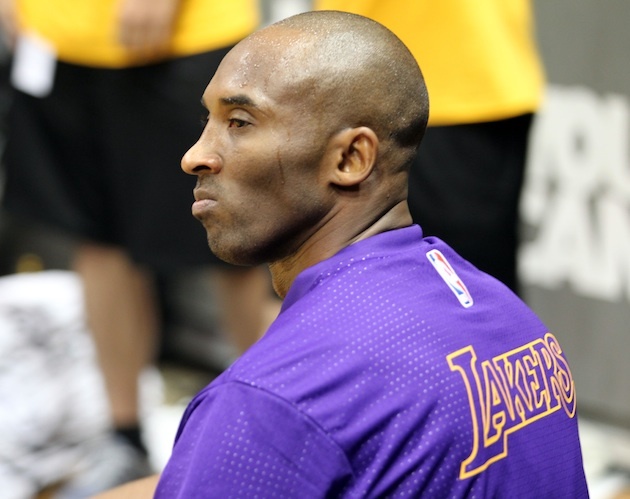 Kobe Bryant may no longer be an NBA great—but that's O.K. When it's all said and done, Kobe Bryant is destined to go down as one of the NBA's all-time greats. But as The Cauldron's Jared Dubin writes, there's a difference between greatness, and being great in the here and now. Let’s get this out of the way right now: Kobe Bryant is inarguably one of the best NBA players of all time. He may not be in your personal top five, top 10, or even top 20, but if you’re talking about the greatest ever, eventually that conversation includes Kobe. His career achievements can be attributed not only to his consistently prolific output, but also his incredible longevity as well. Heading into this, his 20th NBA season, Kobe’s 32,482 points ranks third on the all-time list. He’s the Lakers’ all-time leading scorer, a two-time NBA scoring champ (on a per-game basis ; he’s led the league in total points four times), and his career average of 25.4 points per game is the 11th highest mark ever. He’s sixth all time in field goals made, 13th in threes, and third in free throws. He’s 14th on the career steals list and 20th in games played. 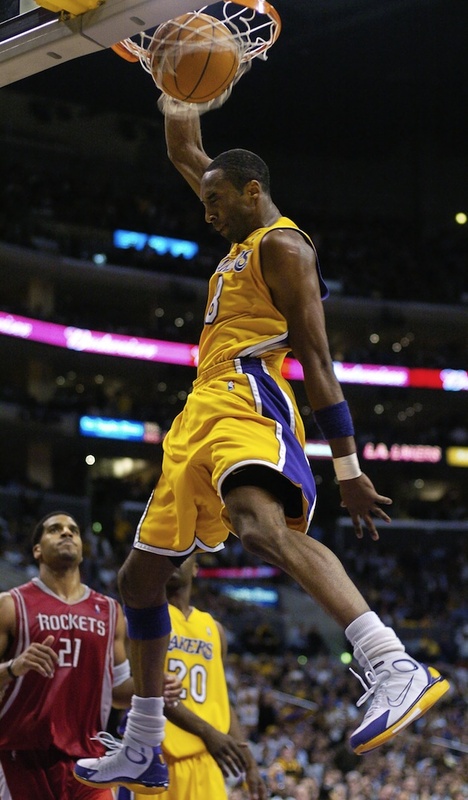 Kobe was league MVP in 2008 and arguably should have won the trophy at least once more. He’s made first-team All-NBA 11 times, second-team twice, and third-team twice more. He’s also a nine-time member of the All-Defensive first team, and a two-time second team rep.
• MORE: Who will be the NBA's surprise team this season? And that’s just his regular season performance. Kobe’s been a part of five championship teams, including some of the best ever. He was the Finals MVP for two of those five Finals. He’s played in more postseason games than all but four players and has logged more playoff minutes than everybody but Tim Duncan and Kareem Abdul-Jabbar. He’s scored the third-most playoff points, registered the fourth-most field goals, tallied the fourth-most threes and the second-most free throws. He’s ninth in career playoff assists and fifth in steals. Though his “clutch” reputation has proven a bit overblown, Bryant has made countless big shots, many of them on outsized stages. He’s put on some of the most jaw-dropping individual scoring performances the game has ever seen. He lit up the Raptors for 81 points, spun the Blazers for 65, mashed the Mavericks for 62, clowned the Knicks with 61 and gutted the Grizzlies with 60. He’s one of only two players (along with Wilt Chamberlain) with five 60-plus point games. He’s great, spectacular, marvelous, amazing — all of it and myriad monikers more. He’s otherworldly. He’s one of the best to ever lace up the Nikes or Adidas or Converses or Under Armours or Li Nings or any other sneaker you can conjure. He’s a legend we’ve watched dominate time and again since he was 18 years old, and seeing all of it — from youthful pluck to veteran record-shattering — has been a damned privilege. But here’s the thing: That player is gone, a marvel in memory only. The Kobe Bryant slated to take the court for the Lakers this season is but a shadow of his once titanic, towering self. This shouldn’t be a controversial statement. Nor should it be a crime to possess these two thoughts simultaneously: That Kobe was — and remains — an all-time great, while no longer being one in the here and now. And yet, for some strange reason, stating this Kobe Bryant is no longer the same player — having appeared in just 41 games since 2013, alternately injured and ineffective, and ranking 422nd in win shares per 48 minutes among players who’ve logged at least that many games over that same span — is somehow considered disrespectful, the calling card of a certified Kobe hater. It’s disrespectful and crazy and blasphemous that a group of sportswriters would rank him the 93rd (ESPN) or 236th-best player (FiveThirtyEight) in the NBA heading into the 2015–16 season. Kobe has a player ranking of 93 that's crazy. Whoever came up with that ranking gotta be a Kobe hater. He's still top 10 at least. Why, of all the numbers that go into these compilations, the resulting ranking is somehow the only number that matters, is a mystery. How, these people wonder, could the guy that still wears Bryant on the back of his Lakers jersey, possibly rank so low? How could he be shown such disrespect? I wonder: How is it not more disrespectful to pretend the Kobe we’ve seen the last two years — the one we’re exceedingly likely to see this year, given his age and health — is anywhere close to the same guy we marveled over for the previous 17? How is it possible to look at the guy wearing No. 24—who can’t guard any but the slowest of NBA guards; who jacks turnaround fadeaways off the iron from a barely perceptible lift; who has shot 38% from the field and 28% from three with a true-shooting percentage of 48%; who turns it over 15 out of every 100 possessions; who’s had a PER of 16.7 and negative win shares over the last two years; and whose team is appreciably and noticeably worse with him on the floor — and say it’s the same guy? How is it possible that people are willing to sling obscenities, make a 35-minute drive to pick a fight and then record a diss track about someone who has the gall to say that the 2014–15 Lakers played better with Kobe off the floor, that he’s not the player he once was? While we’re here, if assigning Kobe a particular ranking qualifies as disrespect, what do you call offering to drive to Temecula to fight another human being? Standing your ground? Being tough? Why is it considered heresy, in some circles, to admit the obvious? Why do Kobe fans — not Lakers fans, but Kobe fans (and yes, there is a difference)—jump all over anyone who dares to notice the obvious? ​It shouldn’t be impossible to acknowledge a living legend’s fade. It shouldn’t be hard to say Kobe is one of the greatest to ever do this, but that he’s no longer doing it, and that that’s O.K. It shouldn’t be a problem to accept that age and injuries have depreciated Bryant’s unique physical gifts, or he can’t do the same things he used to do. Really, it's O.K. It happens to everyone. It happened to Jordan and Magic and Bird, Kareem and Wilt and Shaq. One day it will happen to LeBron and Durant and Anthony Davis. It will happen. I promise. And when it does, that shouldn’t—and won’t — take away from what they were. It doesn’t invalidate their accomplishments. It doesn’t change the fact that, when they were doing what they did, they were among the best there ever was. Saying Kobe isn’t that good is not the same as saying he was never great. At all. He was great, and you’d have to be blind, dumb, or willfully ignorant — or all three — to believe otherwise. But if you think a 37-year-old coming off a torn Achilles, a fractured knee, and a torn rotator cuff somehow has it in him to be his world-beating best, you’re fooling yourself. It's asking as close to the impossible as it gets in basketball. Kobe Bryant will always be an NBA great. Now more than ever, though, that's a statement proven by looking not at the here and now, but into the past.